Are you looking for something to do in Onalaska or the surrounding area? Scroll down to find information on hiking trails, logging, fishing spots, places to eat and much more! 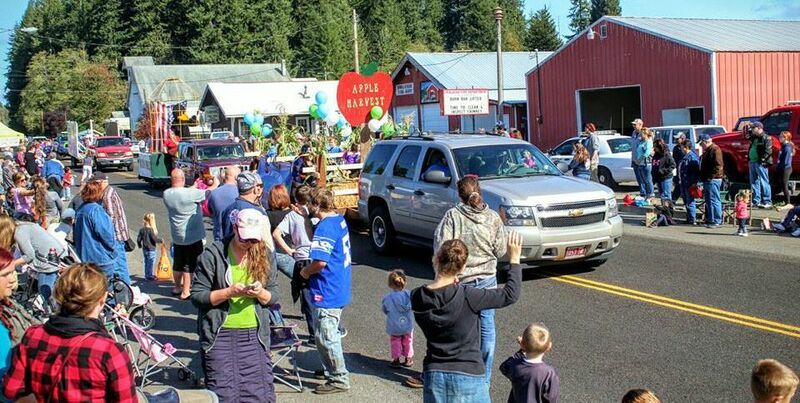 Thanks to everyone who made the 2015 Apple Harvest Festival a success! Click on the link below to see photos from previous festivals, and find out more information about our next festival! ﻿﻿Every year the Onalaska Alliance hosts a very special Easter Egg hunt! Click on the button below to see pictures, read stories and find out more about this free event. Carlisle Lake is at the heart of our community. On the lake you can canoe or kayak, fish, enjoy nature, and our community. Click on the button below to find out more about what you can do at Carlisle Lake. Icecream, shakes, sandwiches and wraps. They sometimes even deliver! Pizza, Sandwiches, Milkshakes and More. To find other businesses in the Onalaska area, visit our business directory. ​We've Got a New One!!! We've got a new business here in Onalaska! It's always exciting to welcome new members to the family. If you get a chance be sure to visit our newest business, Nana's and Papa's right on Hwy 508 across from Brenda's. More information coming soon! Onalaska does not YET host it's own lodging, but it's only a matter of time. For now, visit the links to the different types of lodging on our main tourism page here or explore the links here. The good news is there are lots of options. We hope you enjoy your stay! Wells Winery is a strong supporter of the Onalaska Apple Harvest Festival. The small boutique winery has a tasting room that is open Sundays from noon until 5:00 p.m. The Mason Jar is a new event hosting venue. They host weddings, shows and craft fair, baby showers, luncheons and more. ﻿﻿﻿Community is built around connections. You can keep in touch with what's going on in our community by visiting our Facebook page or our blog. The benefits of shopping locally are well documented. When consumers by from local small businesses they improve their economy, and community relations, not to mention consumers tend to buy what they want, instead of buying what other people tell you to want! In Onalaska, we have some pretty amazing small business. We've got a hardware store, a quilt shop, a gunsmith, a general store, and a grocery just to mention a few. Check out our business directory today! The Onalaska Community and Youth Center (OCYC) is a gathering place for the youth in our area, as well as our community meeting house. For more information on activities and hours, please visit their Facebook page by clicking on the button below.